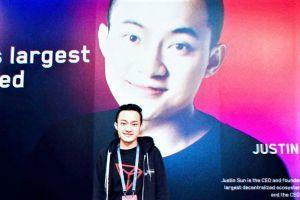 Justin Sun, founder and CEO of blockchain platform Tron, keeps drawing the ire of the cryptocurrency community onto himself. In his never ending quest to get as many Twitter followers as possible, he has decided that no price is too high, and is giving away a Tesla car, as well as a total of USD 20 million in an airdrop. However, the community believes he may be playing dirty, supposedly repeating the draws until he is satisfied with the winner - and until that winner is not a bot, seemingly created specifically to boost his follower count. Updated: On Friday, Justin Sun announced that "for full community transparency, we decided to cancel the previous result and do a live stream draw instead." This time, they picked a new winner, leaving the previous winner (@uzgaroth) perplexed and wondering whether Justin Sun and Tron "scammed him". Meanwhile, Tron founder offered to the previous winner a fully paid round-trip ticket to the niTron summit in 2020 instead of Tesla. It looks like, Sun’s social media presence means a lot to him, as he has previously paid to promote himself on Twitter, urging people to follow him, and taunted other figures from the community when he “overtook” their follower count. Then, he promised USD 20 million in an airdrop and a Tesla, and the so-called campaign was set to finish on March 27th, at 6 PM (GMT+8). The community was quick to notice this and point it out, which led to the congratulatory tweet, as well as the video, to disappear from Sun’s Twitter profile. Of course, the internet is not quick to forgive, so both have been archived. 6/ And... The tweet announcing the "winner" is gone along with the "glitchy video"
Sun later tweeted, “We shared a video of the selection process for transparency. Due to the large size of the video, Twitter wasn’t able to compress it properly resulting in a glitch. We will contact Twitter to make sure this doesn’t happen again. We apologize to the community for the mishap.” Twitter was not available for immediate comment whether Tron contacted them. In either case, the community was still not sold, so they started investigating. 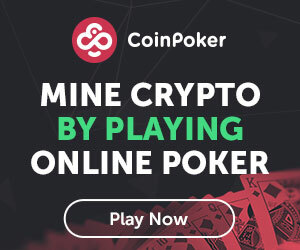 When blockchain analyst John Galt went digging further into the matter at hand, he said he found that there had been 88 draws, starting on March 26th at 12:44 AM - a full day earlier than what the rules promised. However, the winner of the first draw was a profile that looks like a bot, supposedly created specifically to inflate both Sun’s follower count and the number of retweets on the giveaway tweet. The winner that Tron published was actually drawn in the 57th iteration. 5/ Justin used TWrench to do the drawing, you can see it open in a browser window above. And you'll see the complete draw history mentioned above. Although the community is now taking it for granted that there was some foul play involved, the question remains: why? The simplest answer seems to be so that Sun can choose who wins the Tesla - but the number of bots drawn as winners points in another direction: Sun was aware that there was a non-negligent possibility a clean giveaway would choose a fake account, so he had to make sure that didn’t happen, or it would be obvious that his follower count is artificially inflated. And this seems to be the answer that most people are rallying behind: Geoff Golberg, co-founder of blockchain analysis protocol and platform Elementus, found that out of the 50,000 followers Sun recently gained, at least 30,000 were created in March and have only retweeted his giveaway. Cornell professor Emin Gün Sirer caught wind of the happenings also and shared them with his 76,800 followers. Tron has not yet responded to our request for comment.